Formerly known as Burma, Myanmar is an amazing country in Southeast Asia that has a rich culture with 8 national races and 135 ethnic groups, so travellers will be able to hear the locals speaking different languages and dialects. This country is filled with beautiful pagodas and many traditional elements that largely represents Asia in all its glory as well as being a major player in the agriculture scene. 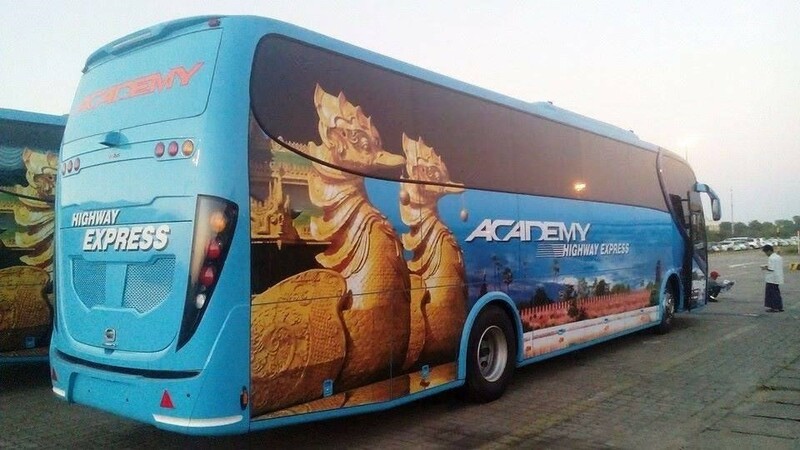 For those who are planning to take pictures of the pagodas in Mandalay or take it easy at the beautiful View Point Beach at Sittwe should definitely check out the buses that Academy Express offer at affordable prices on Easybook that departs from Yangon. For those travelling from Yangon can board the Academy Express bus from the Aung Mingalar Highway Terminal. Two of the more popular routes by Academy Express travel to Chan Mya Shwe Pyi (Kyweseskan) Bus Station in Mandalay and Sittwe Highway Bus Terminal in Rakhine. For trips to Mandalay, there are various trips available in the morning or evening time, while there is only one trip to places like Sittwe, Minbu and Magway from Yangon in a day. Make sure to check the schedule on Easybook website early for those planning to travel within those places. Passengers would be boarding the operator’s single deck buses that come with either 27 or 45 seaters. On top of the luxury chairs, passengers with Academy Express are able to enjoy the amenities provided on board such as the charging port to keep the battery lives on full and a TV as entertainment during the journey. Otherwise, sit back and enjoy the air conditioning on the Academy Express bus as passengers enjoy the scenic views of different towns of Myanmar from the window seat. 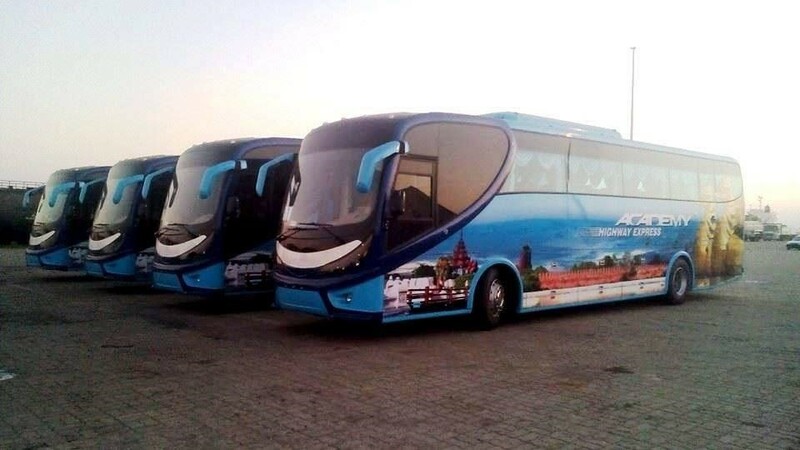 Buying an online bus ticket is very easy when there are great platforms like Easybook to allow travellers visit Myanmar with Academy Express without hassle. As long as there is an internet connection to the laptop or mobile phone to log on to Easybook in order to do the booking for Academy Express bus ticket by following a few simple steps without having to leave the house or office. Start by selecting the preferred trips, dates and number of people before seeing the full schedule with reasonably priced fares. Fill in the particular details and make the bus ticket payment to receive the order summary via email within a few hours. It is as simple as that! Start planning holidays from Yangon to Mandalay or Sittwe with Academy Express bus express to experience the many things that Myanmar has to offer for the entire family. Easybook is always here for all your transportation needs at any time or place. Bookmark our website for all future travels from bus to ferry travels. We look forward to serving your next trip!